Helsinki (Finland), Stockholm (Sweden), Oslo (Norway), Copenhagen (Denmark), and more! Endless day, perpetual night. Rocking festivals, majestic aurora borealis. With effortlessly chic cities and remote forests, Scandinavia attracts style-gurus and wilderness-hikers alike. 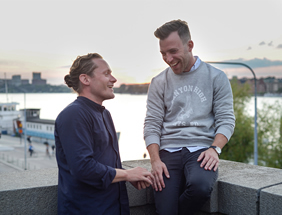 Stolid Nordic stereotypes dissolve in the region's vibrant capitals. Crest-of-the-wave design can be seen in them all, backed by outstanding modern architecture, excellent museums, imaginative solutions for 21st-century urban living, internationally acclaimed restaurants and a nightlife that fizzes along despite hefty beer prices. Spectacular coasts invite exploration from the sea, whether there be rugged fjords, cliffs teeming with seabirds or archipelagos so speckled with islands it looks like an artist flicked a paintbrush at a canvas. One of the most progressive and liberal cities in Europe, Gay Helsinki is a leading gay city with a rich history, beautiful design and a thriving nightlife scene. The former hometown of Tom of Finland – the ‘most influential creator of gay pornographic images’ – Gay Helsinki really does have something for everyone if you are willing to explore and look beneath the surface. Internationally renown art galleries, picturesque nature, creative design stores, plenty of cute coffee shops (frequented by even cuter Finnish guys and girls) and of course vibrant club parties. • Buffet Breakfast and welcome to Helsinki, better known as the “Daughter of the Baltic”. • Enjoy a special tour which will give you an overview of this amazing city. Be ready for our walking tour visiting the Senate Square, with the outstanding Helsinki Cathedral (Lutheran), continue to the Uspenski Cathedral (Orthodox) via the colourful Market Square, which hosts numerous tents hawking everything from freshly foraged local produce to reindeer pelts and salmon feasts. • Enjoy a short walk in the Esplanade Park on our way to the Temppeliaukio Church (also known as the "Rock Church") after we make a stop to admire the different architectural styles sourrounding the Central Railway Station. 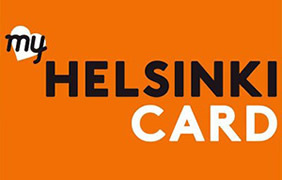 • Finish the tour in Mannerheimintie, a central point from which you can start enjoying your free time in Helsinki. • Free time in the afternoon. 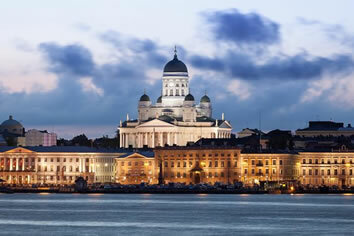 • Dinner on your own and overnight at your hotel in Helsinki. • Buffet Breakfast and free time in the morning. • In the afternoon, private transfer by car or Minibus to the Pier. • Overnight cruise to Stockholm in 2-beds-inside-cabin, dinner included. Departure at 17:00. • Enjoy the night sailing from the beautiful Helsinki Archipelago, into the Baltic Sea – on board you will find numerous bars, restaurants and shops and plenty of entertainment for those who wants to have a long night. Comfortable cabins with single beds and small private showers/WC. • Breakfast on board. Arrival in Stockholm at 10:00. • Then private transfer by car or Minibus to your hotel and accommodation. 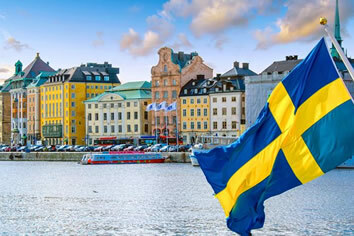 • In the morning enjoy your exciting LGBT Friendly walking tour from Gamla Stan, the name for Stockholm's historical centre. • Here you will find the Swedish Parliament, Riksdag, and the Royal Palace. Take a look to this enormous baroque building which is the King's official residence and with 600 rooms, it is one of Europe's largest palaces. • Continue towards the spectacular Vasa Museum, a very impressive museum displaying the historical 17th century Vasa warship. • In the afternoon free time for shopping and individual visits. • Dinner on your own and overnight stay at your hotel in Stockholm. • Buffet Breakfast and enjoy a special morning inside Skansen Open-Air Museum, where you will be free to enjoy a spectacular visit to a unique museum that encompasses Stockholm's Zoo, a display of living history, and an exhibition on traditional Swedish festivities. • In the afternoon enjoy a special visit of the Drottningholm Castle, just outside Stockholm. • Back to your hotel. • Dinner on your own and overnight at your hotel in Stockholm. • Buffet Breakfast and departure by high speed train to Oslo (6-7 hours) – upon arrival, private transfer by car or Minibus to your hotel and accommodation. • Free time in the buzzing Oslo, with energy from new neighbourhoods and cutting-edge food, to fashion and art scenes. Experimental design, fabulous nightlife, trendy neighborhoods and those handsome Viking men (and women) are all waiting for you – Not to mention an active dining scene, a vibrant contemporary art scenes and all that nature on your door-step if you want to hire a car and explore. Gay Oslo really does have something for everyone. • Dinner on your own and overnight at your hotel in Oslo. • Buffet Breakfast and meeting with your guide in the reception, your guide will take you on a walking around Oslo's most known sights. Be ready to admire Oslo's must-see local landmarks. • First stop Oslo National Opera and Ballet House, a famous example of Scandinavian architecture, where you can enjoy a spectacular view of the fjords on one side and the bustling city life around Karl Johan Gate on the other side. • Then continue your walking tour towards Akerhus Castle and Fortress that has protected Oslo since medieval times. • Next stop is the Oslo Town Hall, where the Nobel Peace Prize ceremony is held. 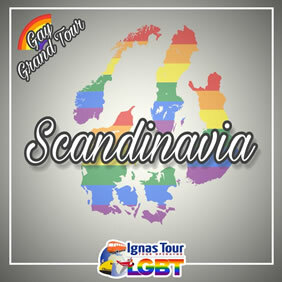 • Follow your LGBT friendly Tour Guide through the ornate building and learn about the culture and history of Norway while you have a look around. • Continue your walk down the city's main thoroughfare to see the National Theater, the Parliament building, and the Royal Palace. • Finally reach the Vigeland Sculpture Park, with more than 200 sculptures by Gustav Vigeland in bronze, granite and cast iron. Here you will have time to explore the special sculptures conserved inside this green and amazing park. 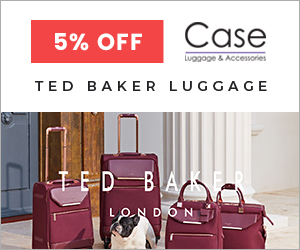 • Overnight cruise to Copenhagen in 2-beds-inside-cabin, dinner included. Departure at 16:30. • Enjoy the beautiful sunset from the deck overlooking the Oslo fjord. • Plenty of restaurants, bars and entertainment to enjoy a fun night on board the ship. • Breakfast on board. Arrival in Copenhagen at 10:00. 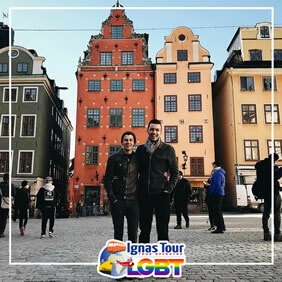 • In the morning explore together with our LGBT Friendly Tour Guide the spectacular city of Copenhagen, a little fishing town which turned into being the capital of Denmark. The city is known as a cultural capital, a hub of design and experimentation and a land of fairy tales. 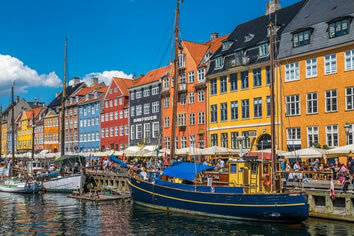 • Start this walking tour from the worldwide famous Nyhavn, "new harbour", which is still popular among the locals, who as soon as weather permits occupy numerous outdoors bars and restaurants by the canal. It was here that the famous Danish writer Andersen wrote his first fairy tale in the house number 20 in 1835 and where he spent and ended his life. • Afterwards reach the Royal Opera and the Royal Palace of Amalienborg. •Finally arrive to the famous Little Mermaid Statue, close to Kastellet. 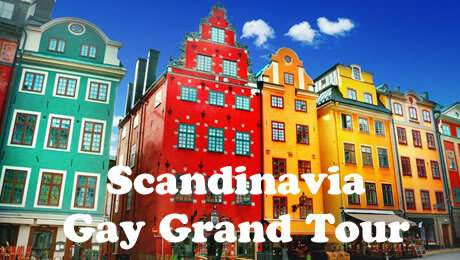 • After our amazing tour, you will finally learn why the Danes are considered the happiest people in the world! • In the afternoon free time for invididual visits and shopping. • Dinner on your own and overnight at your hotel in Copenhagen. • Breakfast in the hotel and transfer to the Copenhagen airport. Situated 100 m from the Esplanadi shopping district, this design hotel features free gym access. The stylish rooms include free WiFi, LCD TVs and luxury beds. Hotel Klaus K’s soundproofed rooms have décor inspired by the Finnish epic poem, Kalevala. Some rooms include a bathtub and views of Helsinki’s bustling city centre. Italian cuisine and Tuscan wines are offered in Restaurant Toscanini. Breakfast includes organic options and is served in the Klaus K Dine lounge, where guests can also grab a cappuccino, cocktail or snack. Tram numbers 3 and 6 stop directly outside Hotel Klaus K, providing easy access across Helsinki. Castle House Inn is located right in the heart of Stockholm's Old Town, only a 3 minutes' walk to the Royal Palace. Free WiFi access is available. The closest metro station is a 6-minute walk away from the hotel. Castle House Inn rooms are individually decorated. Some rooms have private bathrooms and others have shared facilities. Bed linen and towels are included in your stay. The hotel is 250 m from the picturesque Stortorget Square of the Old Town and the Nobel Museum. You can take a stroll down the cobbled streets and visit the boutiques and cafes. Many popular restaurants and bars located nearby draw in crowds for lively evenings and nightlife. Ferry connections to the islands of Djurgården and Skeppsholmen are just 500 m away. Stockholm Central Station is 1.4 km away. Thon Hotel Panorama is located in the heart of Oslo, only 5 minutes’ walk from Karl Johan shopping street. The hotel has a 24 hour reception and rooms with free Wi-Fi. Akershus Fortress is located 350 m from Thon Hotel Panorama. Several restaurants are found in the surrounding area. All rooms at Thon Hotel Panorama have flat screen TVs with cable channels. The rooms on the upper floors offer excellent views of the Oslo Fjord. A rich organic buffet breakfast is served every day. Free tea and coffee is available at all hours in the lobby area. Next to Vesterport Station in central Copenhagen, this hotel offers a tennis court and free high-speed WiFi. Each room has a 32-inch Smart TV with satellite channels, games and weather information. Tea/coffee facilities, modern decor and a bathroom with shower are standard at Mercur Hotel. After a day of sightseeing in Copenhagen, Mercur’s bar is an ideal place to relax and chat with other guests. The hotel reception is open around the clock. Mercur Hotel's central location provides easy access to shopping, dining and culture. The City Hall Square, Tivoli Gardens Amusement Park and Copenhagen Central Station are all about 5 minutes' walk away.